GlaxoSmithKline’s revenues have shot up 23% to £7.5 billion in the third quarter, the company benefitting greatly from the weakness of the pound against other currencies. Core operating profit jumped 35% to £2.3 billion, beating expectations, and giving outgoing chief executive Sir Andrew Witty something to smile about. Sterling has lost about a fifth of its value against the dollar since the UK voted to leave the EU in June, helping GSK in particular, as most of its revenues are earned outside the UK in the US or the Eurozone. Even without the major boost of the weak pound, GSK’s performance was good: revenues were up 8% at a constant exchange rate, and profits were up 13 per cent. This growth was thanks to a solid performance by all of the firm’s key units, with pharma division sales up 6%, consumer health up 5% and vaccines up 20 per cent. Star performers included HIV drugs Tivicay and Triumeq, which saw sales rise 70% to £718 million, while vaccines growth was down to flu vaccines and continued development in its meningitis franchise led by Bexsero. However the company has seen numerous recent setbacks to its respiratory franchise, and has to convince investors that new treatments such as Breo, Anoro and Incruse will help it sustain its presence in the therapy area. Consumer Healthcare sales rose 5% to £1.9 billion, led by key brands Sensodyne and Voltaren. The company’s current head of consumer healthcare, Emma Walmsley, was named last month as Sir Andrew Witty’s successor, and will take over in March 2017. Investors will be eager to suggest new approaches to Walmsley to make the company more competitive, which could include renewed calls for the company’s pharma and consumer health divisions to be split up. Responding to analysts’ questions on this subject on a conference call yesterday, Sir Andrew said immediately before becoming chief executive, he had been given the task of assessing whether GSK should retain or sell the consumer division. He said going into the project, he had been convinced it should be sold – but by the end firmly believed it would be a major asset. He preached patience from investors to allow Walmsley to set out her own plans. Witty said Walmsley was now doing ‘deep dives’ to better understand the business and particularly the divisions of which she hasn’t had first hand experience. “You shouldn’t necessarily make any assumption until Emma actually stands up and tells you what she wants to do,” he cautioned. 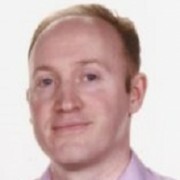 Nevertheless, Witty couldn’t resist getting drawn into a discussion with Leerink’s lead analyst Seamus Fernandez – rejecting the idea of any further mega-mergers, saying these could generate unmanageably large corporations. However Witty did say there was scope for further consolidation in consumer healthcare. For GSK, that would entail buying Novartis out of the newly-established joint venture – and idea which Witty said would require Novartis’ agreement. In terms of its product pipeline, the firm has just filed its shingles vaccine Shingrix in the US, and has now completed three of the four regulatory submissions it planned for the second half of 2016. 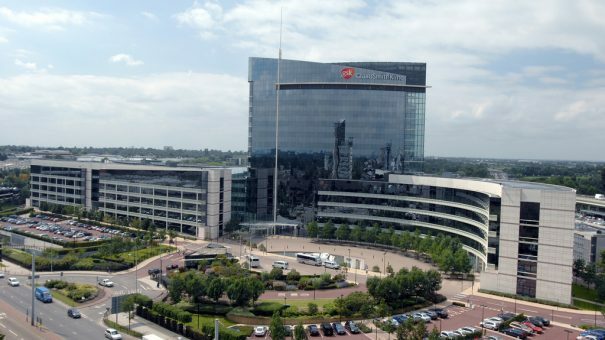 GSK says its pharma R&D is set to pay off over the next few years, and expects to start four phase 3 trials in HIV, respiratory and anaemia before the end of the year. It expects important data for between 20-30 assets in clinical development and in key therapy areas including oncology and immuno-inflammation over the 2017-18 period.